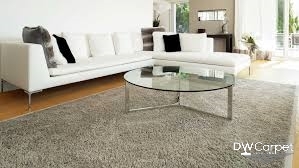 Carpet installation is very important in interior designing. You want to feel the relaxation and comfort you every time you step your feet inside your home. Like most homeowners, you might find it necessary to choose the perfect type of carpet for your house. If you are not sure, you can contact a carpet flooring expert to help you understand more about the material and everything you need to consider. Without much ado, let us look at the major materials. Nylon material is the most popular choice for most homeowners. If you find it difficult to choose a material, or if you don’t know what material will be good for your home, you can always choose nylon. You can’t actually go wrong with it. First, it is the most durable material you can find in the market. 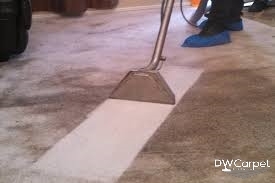 This makes it the number one choice for heavy traffic areas in the house, and for commercial places. Secondly, nylon is water resistant. Thirdly, it is stain resistant, which means that you won’t have to spend a huge amount of money in regular treatment. Compared to other materials, nylon is not too much prone to mold and mildew. If you are more concerned about the carpet comfort, then you can buy soft nylon, which manufacturers produce purposefully for comfort. They have fine strands that the hair of a baby. This gives you a soft and more comfortable touch. Are you an environmentalist? If you said yes, then polyester is the perfect material for you. It is made of non-biodegradable materials or plastic bottles. It is 100 percent recycled. Furthermore, the synthetic polyester resistant is extraordinarily resistant to fading. So, this carpet will not fade its color as most carpets do just few days after installation. So, it is very popular among homeowners because of its huge varieties of colors and texture. The material is resistant to non-allergenic materials and stain. It resists mildew and molds because it casts out moisture. However, it is also prone to oil-based stain and shedding. Because of their soft fiber, they remain vulnerable to crushing. Therefore, it is not recommended for use in commercial areas or high traffic areas in the house. Triexta, in the carpet industry, is a neophyte. In more often than not, they are known on their brand name as Sorona or SmartStrand. Few years back, the material used to be regarded as a type of polyester. But over the recent past, carpet manufactures have proven beyond doubt that Triexta is completely a different material. For this reason, it is today categorized on its own. PTT may be new in the market, but it is highly gaining popularity. In fact, its sale volume is increasing more than most materials. It resists stain excellently. Compared to polyester and nylon, PTT offers more comfort. Furthermore, the fiber doesn’t absorb moisture. It also doesn’t absorb tough stains like red wine and beer. It is durable and eco-friendly as well because it is partly made of corn glucose. Its more affordable than polyester and nylon. The only disadvantage is that it came to the market just recently, and it has not been widely tested. In other words, it doesn’t have a clear track record. In terms of durability and resilience, wool is superior to all other materials. It can stand very high traffic, and it doesn’t crush or matte down easily. In fact, wool carpets can last for more than 10 years if properly maintained and well treated. It is also kid-friendly because it is a hypoallergenic fiber. This makes it a great choice for homeowners with kids. It also resists stain perfectly. Oil-based stains and soil are usually invisible on wool. In case of fire breakout, wool will burn. However, it won’t melt down, and this helps in stopping fire from spreading throughout your house. However, wool is very expensive and only elites can afford it because its supply is limited. If you are on budget, then you can go for polypropylene, which is often referred to as “Olefin”. 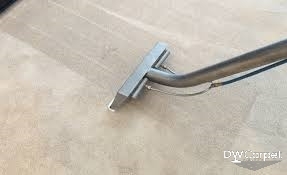 It is perfect in outdoor carpet flooring because it resist mildew and water damage. Moisture doesn’t damage it as well. However, it is prone to oil-based stains.